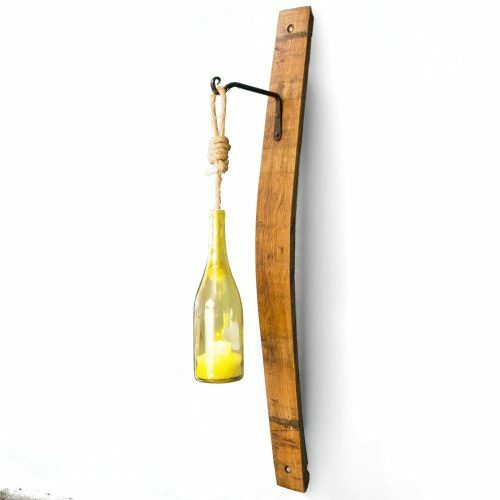 This sconce and wine bottle lantern combine to make the perfect romantic wine style decor piece for any space. 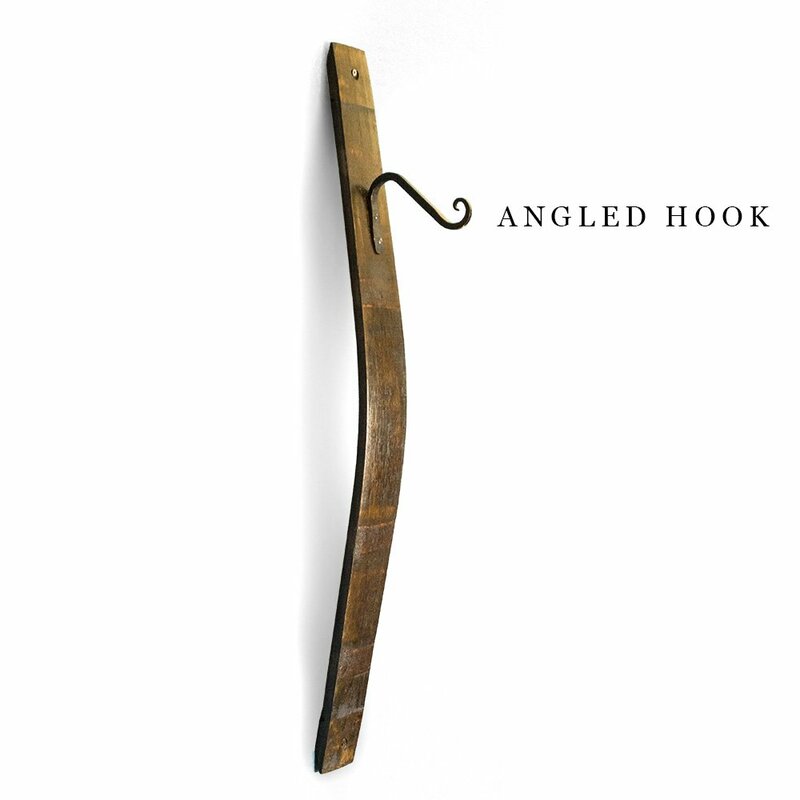 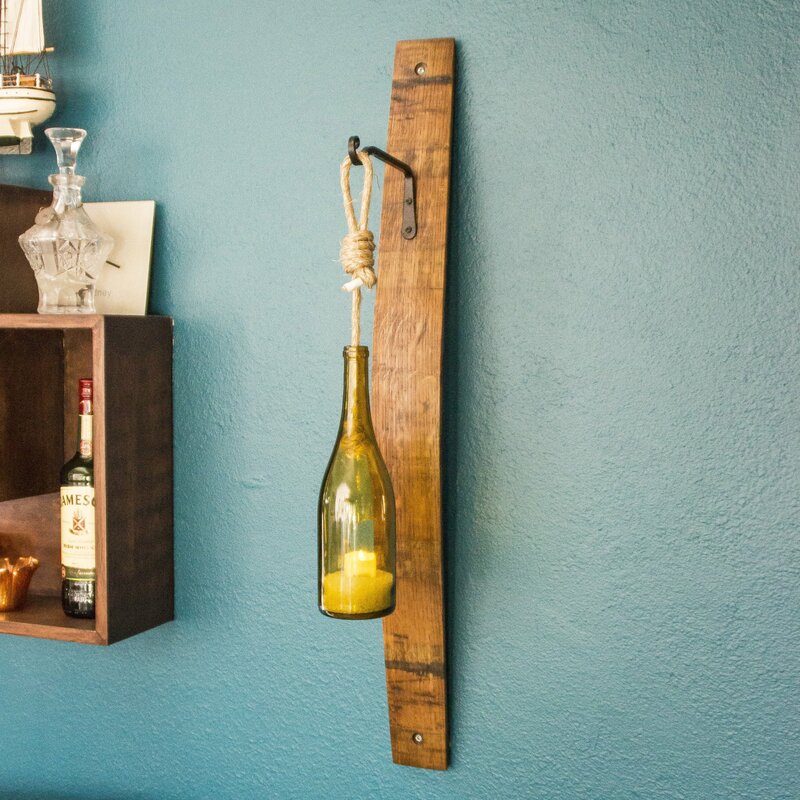 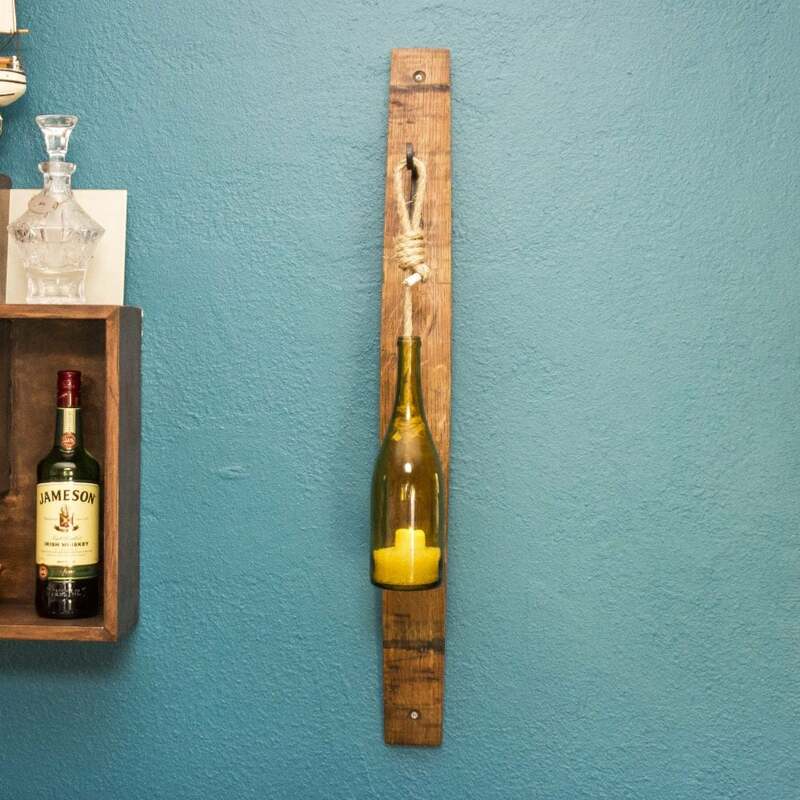 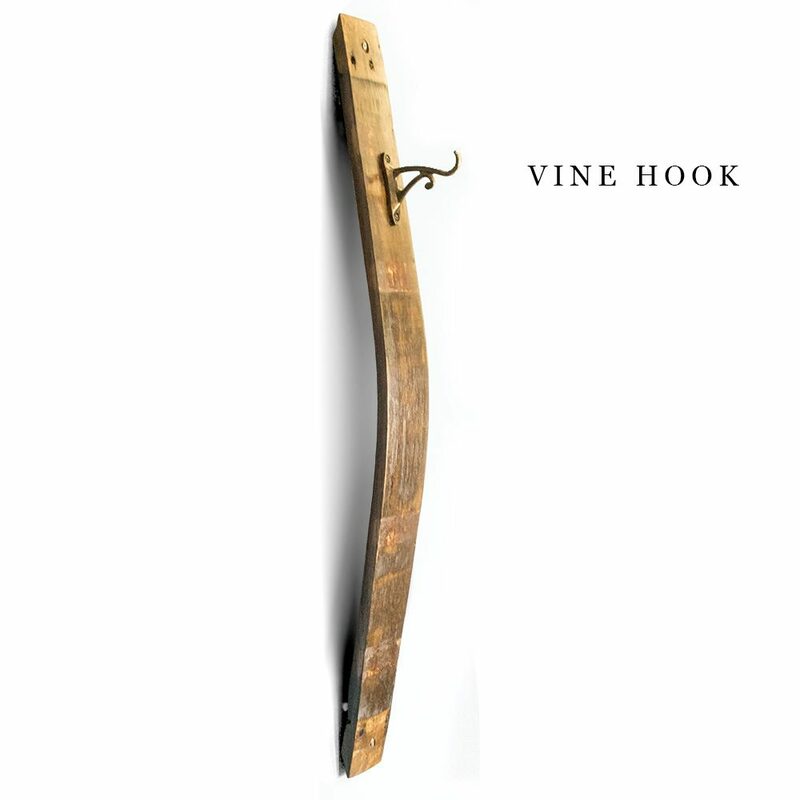 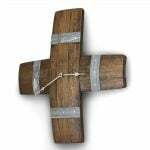 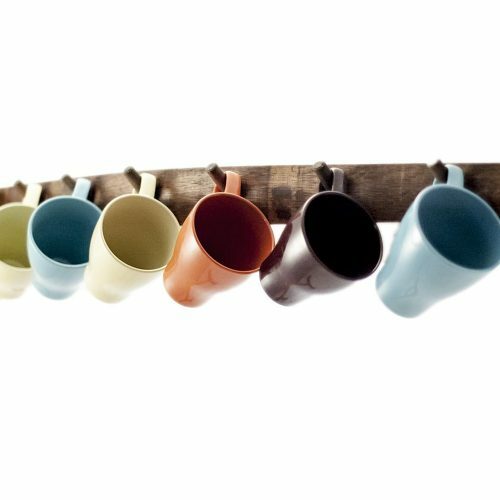 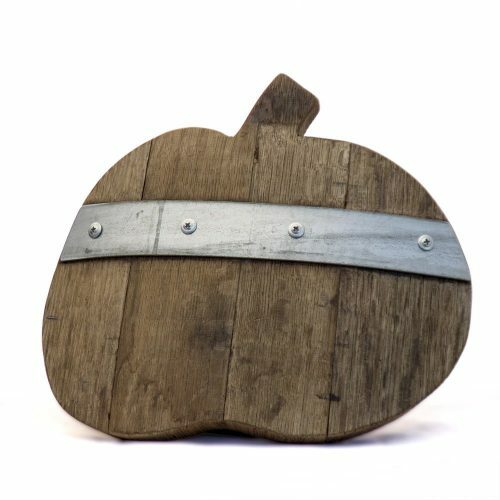 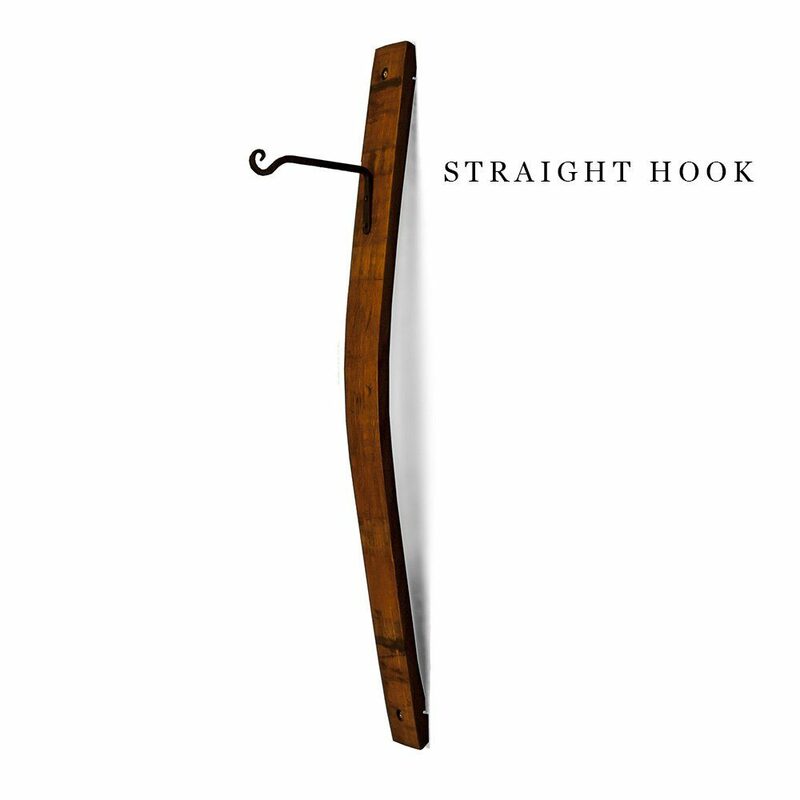 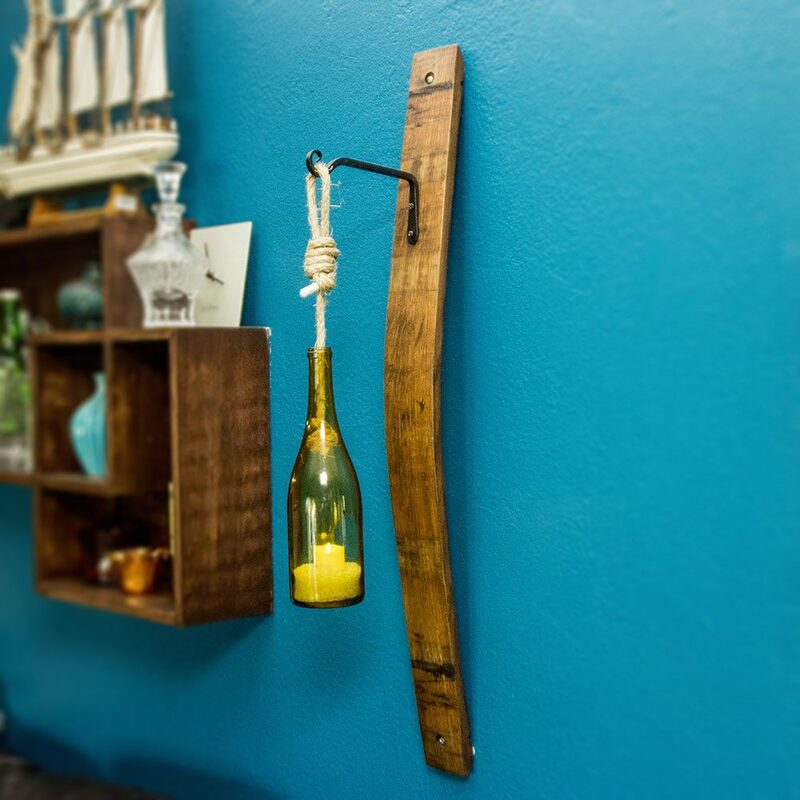 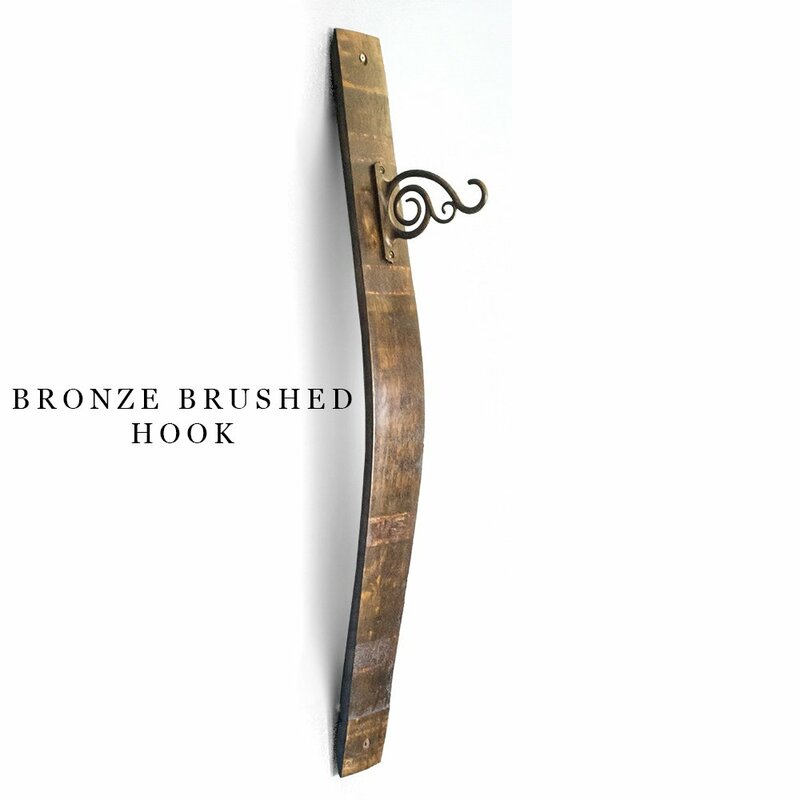 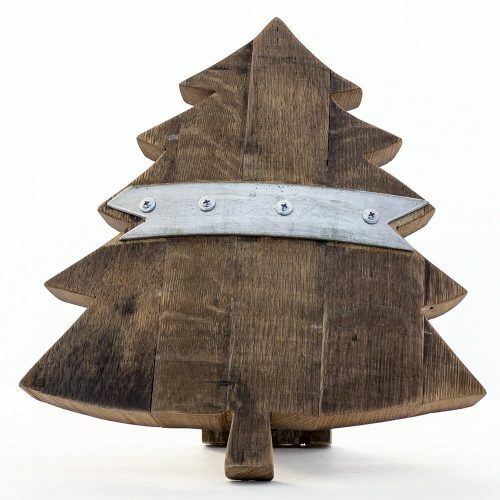 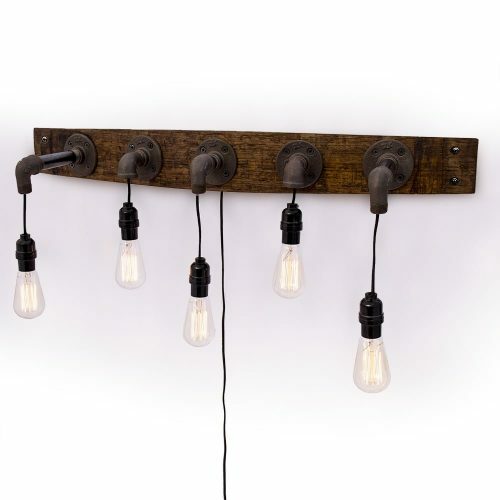 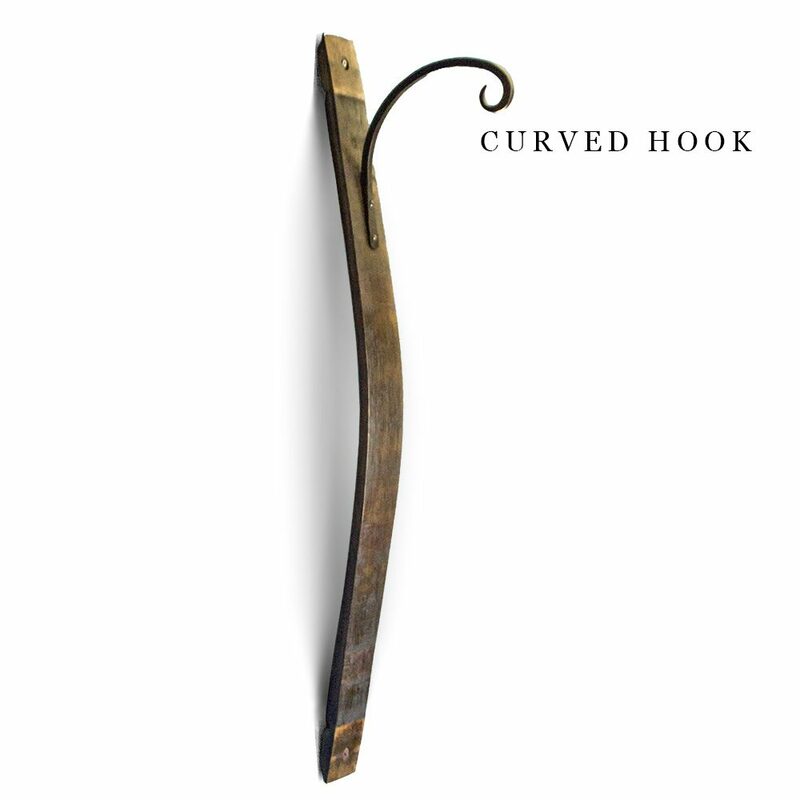 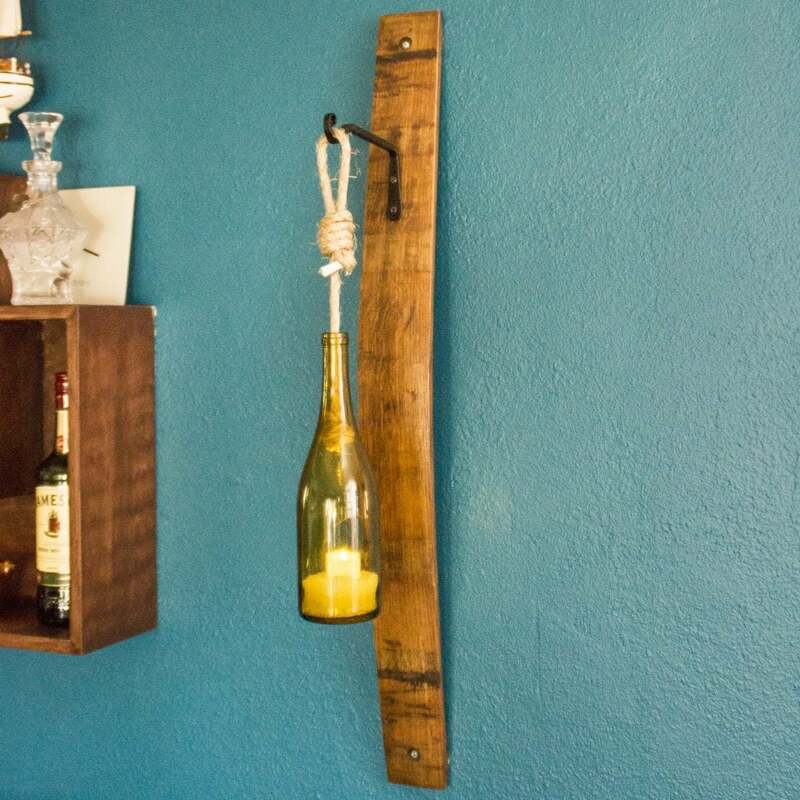 Made from a genuine reclaimed wine barrel stave, a handcrafted hook, and wine bottle these are ideal for enhancing a warm pub, vino-culture, or nautical themed room. 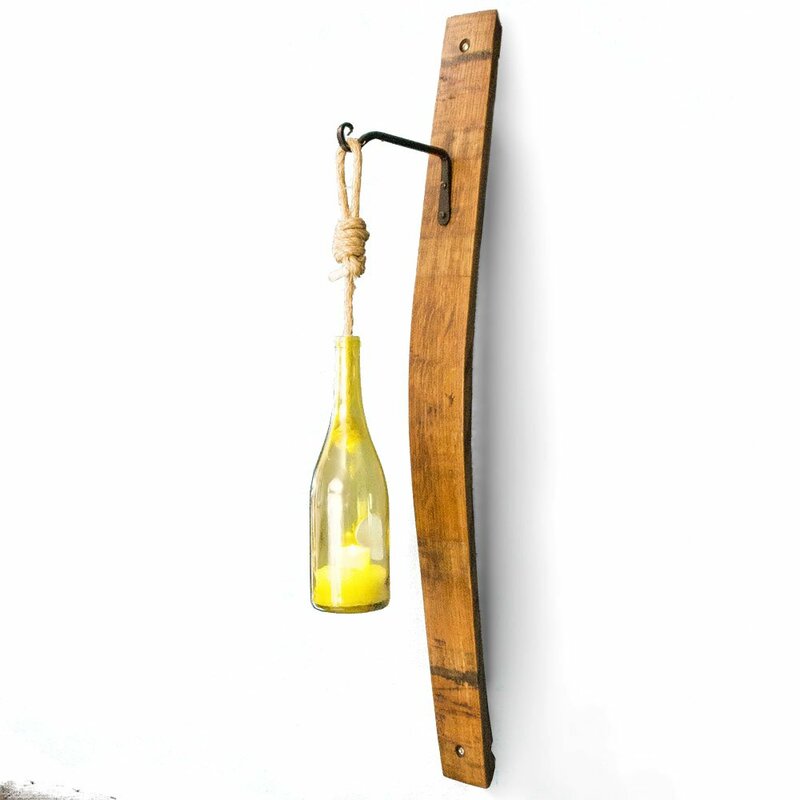 Includes rope, plastic beads and LED flickering Candle. 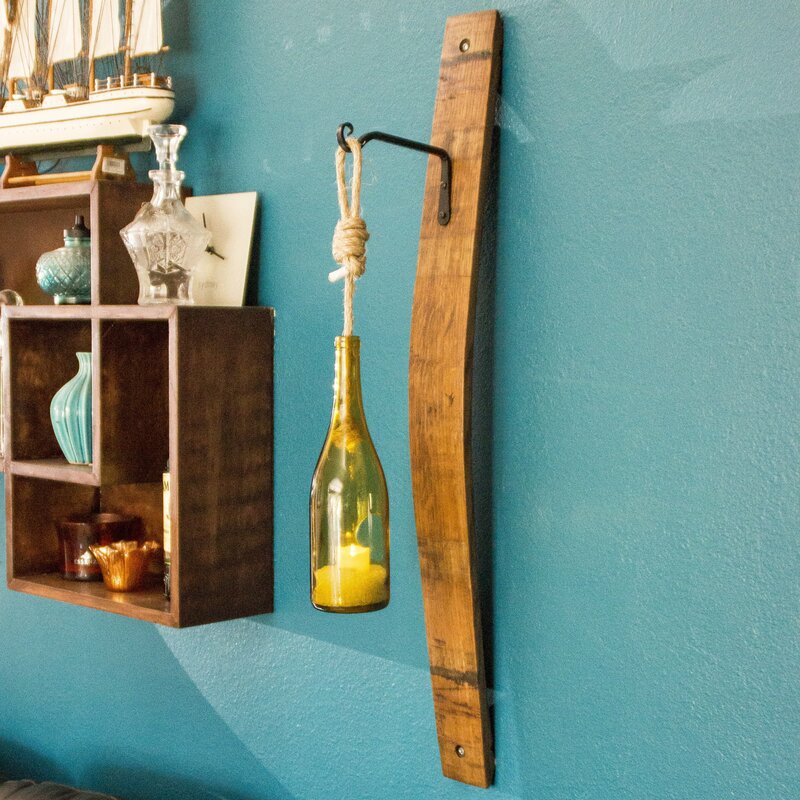 Slip knot on rope allows for easy hanging height adjustment. 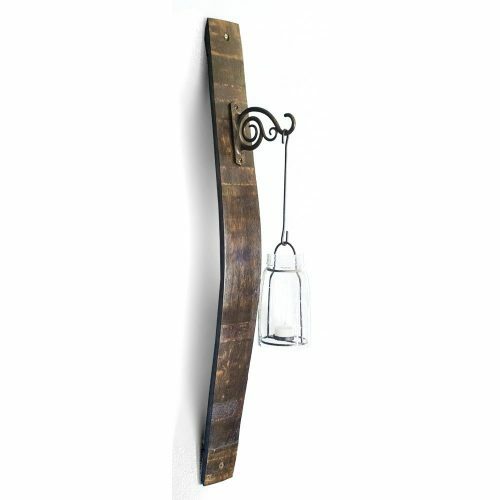 Dry Wall mounting kit included. 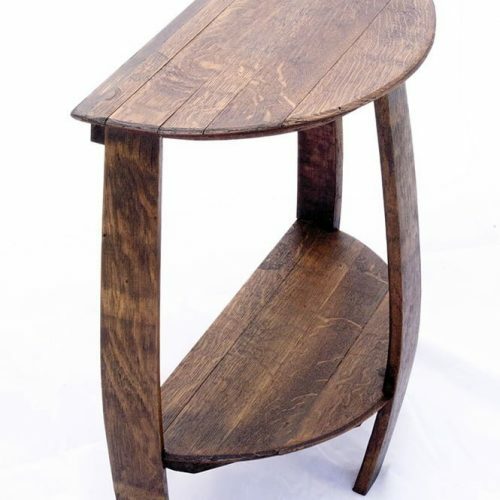 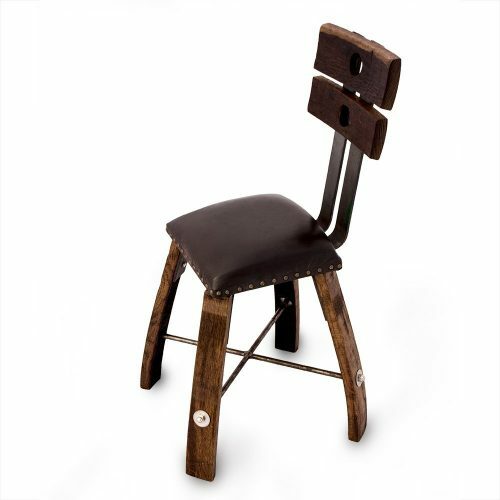 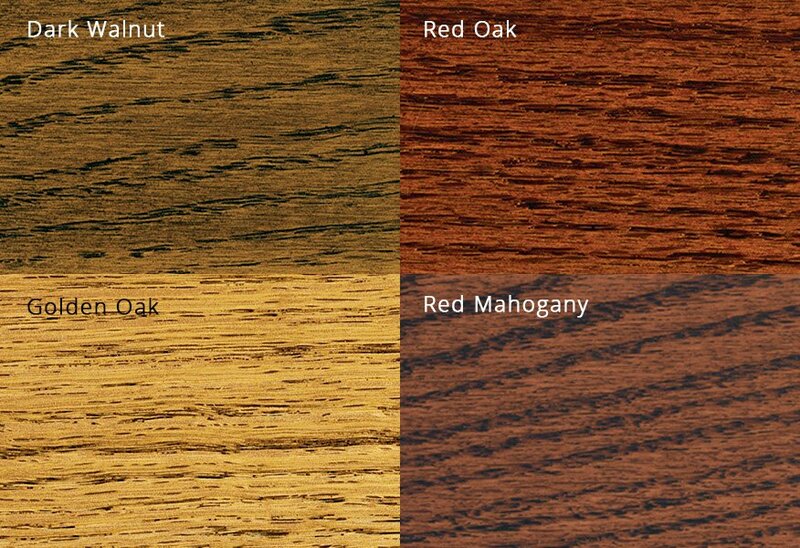 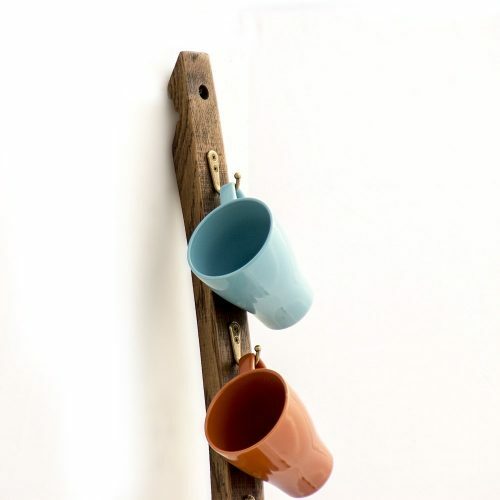 Please note: Height is dependent on barrel staves in stock at the time of purchase.